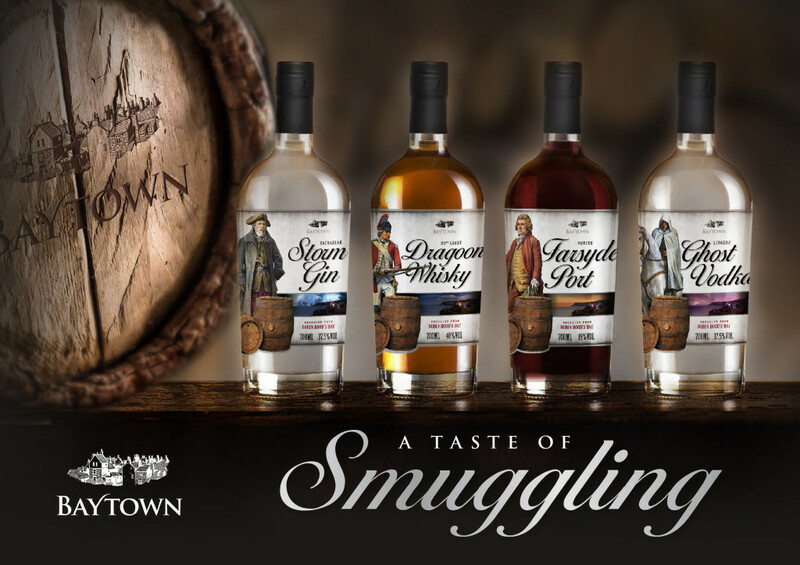 Join us for your own personal smuggler’s tour. First, take a gentle one hour stroll to find out about Robin Hood’s Bay’s smuggling history. Then enjoy a tasting of all 7 of Baytown’s beers. The tours and tastings are ideal for families, friends, stag and hen parties. Prices range between £6-£10 a person. The Baytown Team live and work in Robin Hood’s Bay and are happy to provide full and half day walks and tours tailored to our guests’ particular requirement. 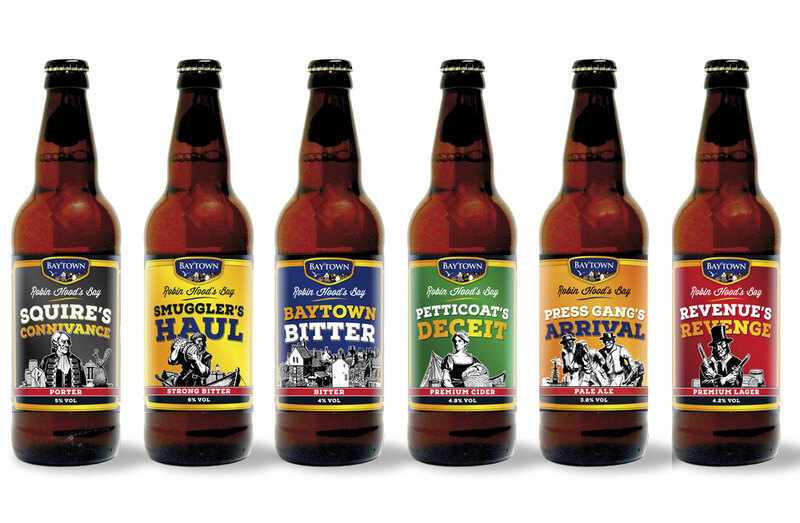 Book direct with the www.thefernsuite.com (call 01947 880513) and claim your free gift on arrival of all 7 Baytown beers. Smuggler George has been working hard and has brought ashore a brand new range of spirits including whisky, gin, vodka and port. We’re here to help you celebrate Robin Hood’s Bay – the place and the people and its smuggling heritage. Hidden next to the North Sea, on the edge of the North York Moors, Robin Hood’s Bay has almost 1000 years of rich heritage. Its people are famous through the centuries for their resilience, independence and resourcefulness. Baytown is the locals’ traditional name for Robin Hood’s Bay. So, browse these pages and learn more about Baytown and its inhabitants. To celebrate, why not buy some beer, cider or lager and raise a glass! Or you could also sit by the fire with a port or glass of spirits. 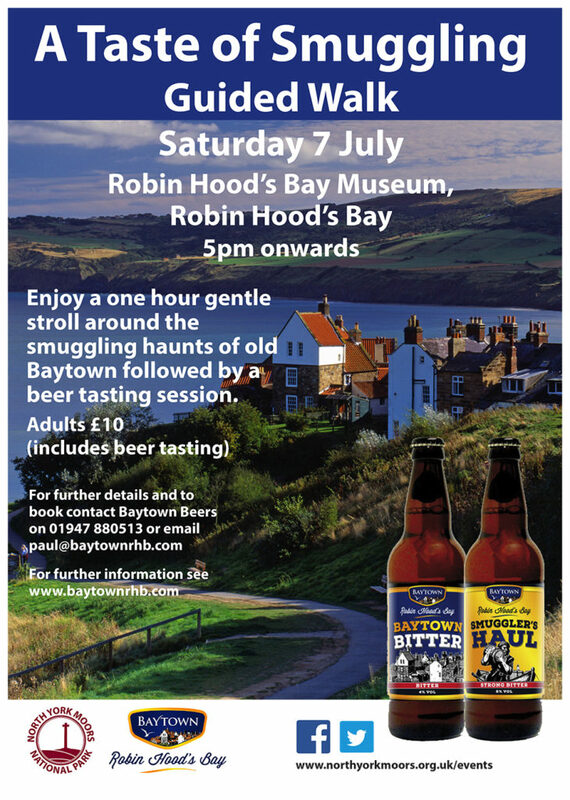 A Taste of Smuggling Guided Walk – join us for a guided walk around Robin Hood’s Bay followed by a beer tasting. Or, join us for a Smuggling Tour… and re-live the history! Baytown was the 18th century locals’ name for Robin Hood’s Bay. Times were tough but so were the people. It is reputed that a couple of years ago, a resident was refurbishing the cellar of his 375 year old family home when a wall gave way to expose a hidden tunnel.